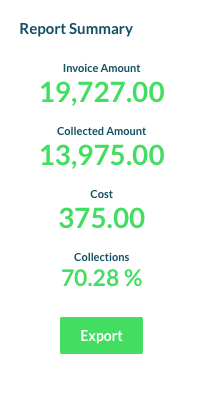 How do I use the Collections Report? 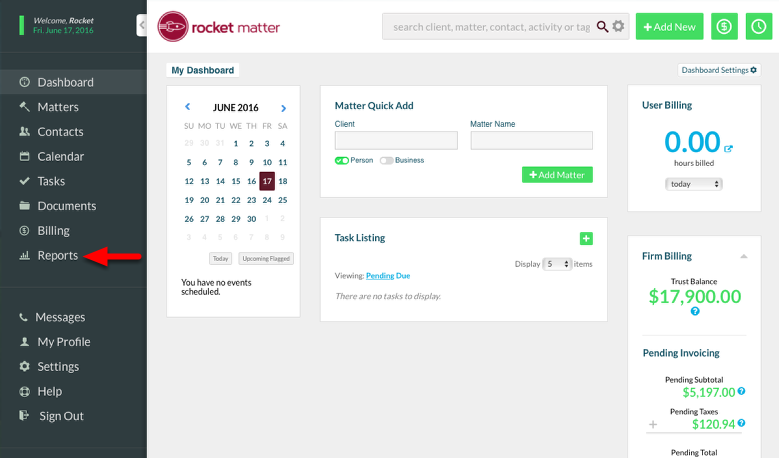 The Collections Report is part of Rocket Matter's Advanced Analytics Module. This Collections Report shows you which clients are paying the most on their invoices, and which clients are paying the least on their invoices. 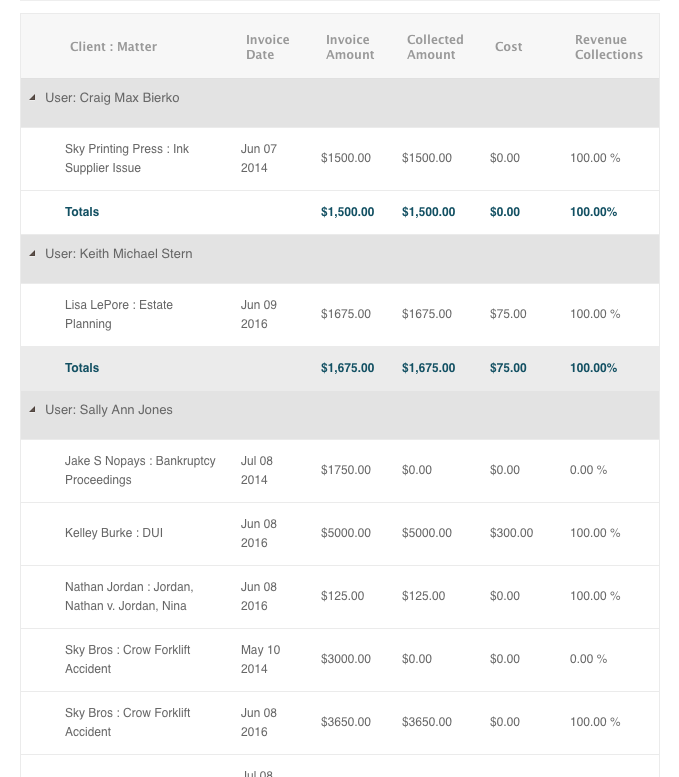 It also displays invoice dates and amounts, the amounts collected on those invoices, costs included on the invoices, and the percentages of revenues collected. 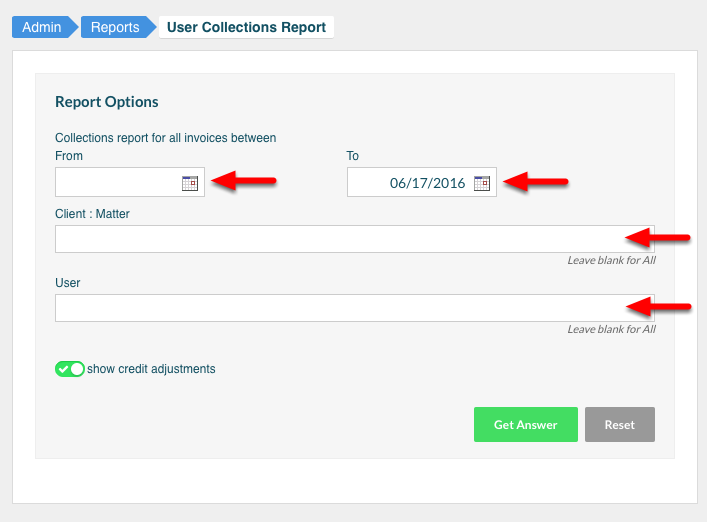 Collections Report details include Client, Matter, Invoice Date, Invoice Amount, Collected Amount, Cost, and Revenue Collections. 1. Select "Reports" from the Navigation Panel. 2. 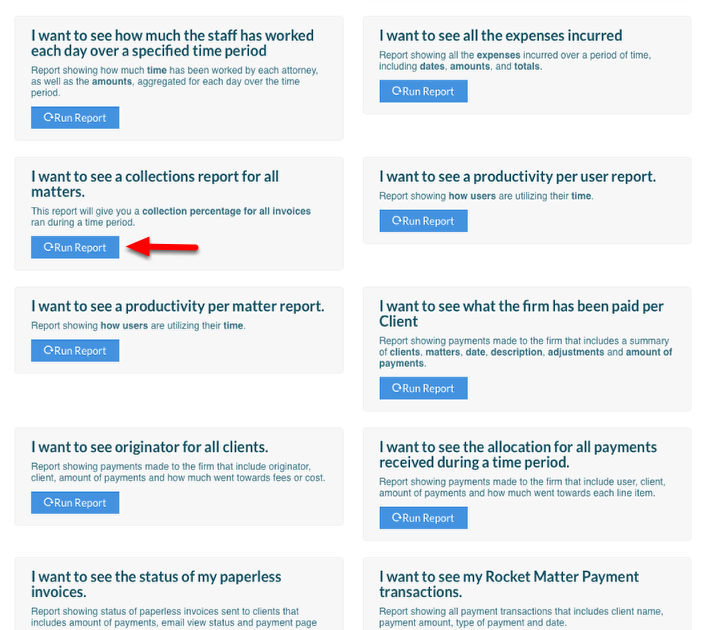 Scroll down to "I want to see a collections report for all matters", and select "Run Report". 3. Select your date range, specify your Client : Matter, specify your user, or leave blank for All. 4. Click "Get Answer" to run report. 6. 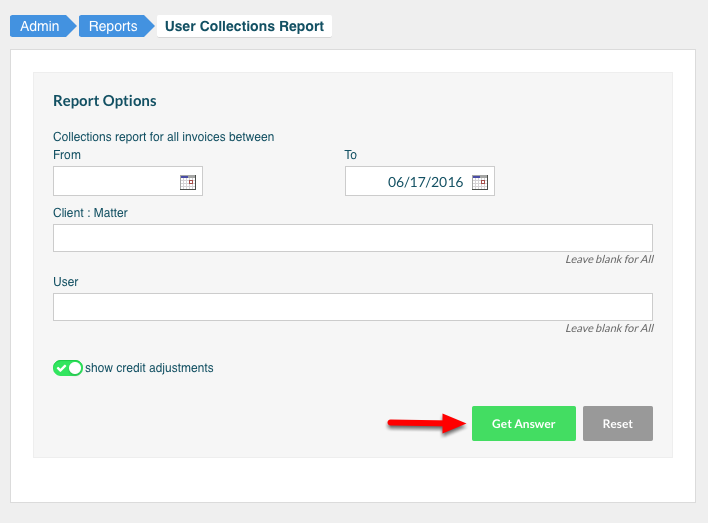 Report Summary includes Invoice Amounts, Collected Amount, Costs, and Collections percentage for your data sample. To export Collections Report in .csv format, select the "Export" button. What is the Advanced Analytics Module? Next: Collections Report: Why does 'None' appear as the User in my report?